Day 3 of Hatch week was based around skill development – cocktail drinking is a skill, right? Much like the two days preceding, we turned up with no idea of what the day had in store for us. Except, this time we had luggage in tow. We’d been mysteriously instructed to pack swimwear, comfortable clothing, activewear, and dinner clothes, and to be prepared for two nights away in a mystery location. We started off the morning discussing proficiency and how developing your skills is a skill within itself. Interestingly, we’d already explored this idea in our pursuit of a balanced workplace the day before: balancing concentration with endorphins by injecting a midday tennis match into our work day to be more energised in the rest of the afternoon. When you’re working efficiently, you’re more likely to get work done on time, meet deadlines, and reduce stress. Not to mention having a higher sense of achievement, motivating you to keep going. Being continually mindful of how you’re operating makes you aware of how you can improve and do it better next time. This lead us to brainstorm ideas for project management programs that would work specifically for the Hatch team, utilising our skills to systemise our internal processes. Did you know that once you get distracted, it takes an average of 23 minutes and 15 seconds to get yourself back on track?! In our open-plan office, distractions are rife — whether that may be in the form of a phone buzzing, a coffee offer, or the over-hearing of a good (or bad) joke being told. It’s super important to manage our time effectively & limit distractions in order to stay on top of things — and that means having the ability to be more flexible in a modern workplace. A way to limit distractions and increase productivity that works well for us is having a focussed morning — no talking, headphones in from 8am-12pm. We all feel the most productive in the morning and it’s great to block out a chunk of time where we can really get in the zone. It’s important to know the conditions you individually work best in. When you structure your day around your bodily rhythms, you hack your body’s chemical reward system — keeping motivation and gratification levels sky-high. The art of developing skills to a high degree makes you a great critical thinker. After all, skill development is a skill. However, it’s not one size fits all. There’s loads of different productivity methodologies, ranging in complexity, which you can experiment with to find the best fit for you. 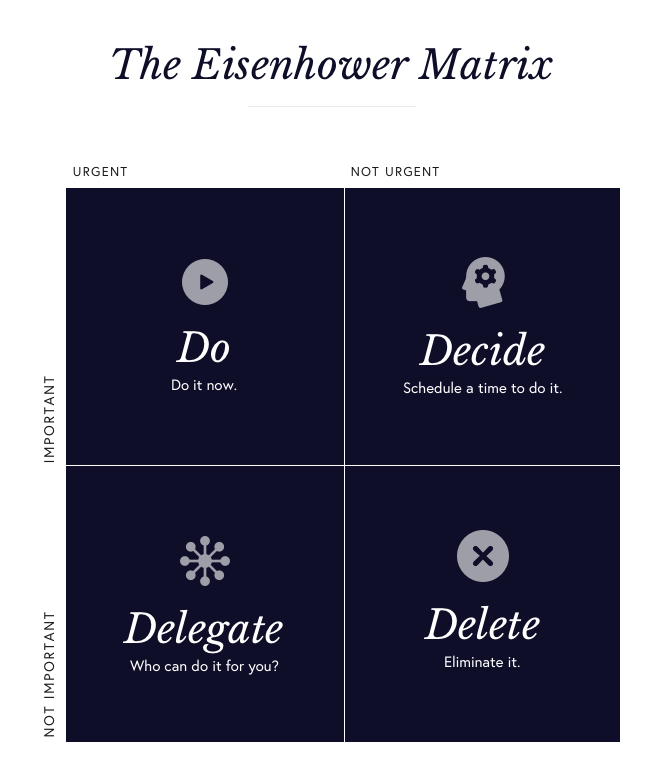 One we regularly implement is the Eisenhower Matrix, which separates difficult tasks into simple quadrants — do, decide, delegate, or eliminate. We liked this format so much that we developed our own personalised Eisenhower Matrix for the team and for our clients — recommending the ideal course of action when something is required from a member of our team. Whether that may be contacting them via email, Slack, Flow, or simply chatting to them in person, it streamlines the way we communicate both internally and externally, boosting our proficiency. 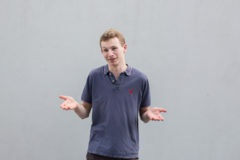 Roy brought up the bright idea of trying out The Pomodoro technique, a time-management method aptly named after the classic tomato-shaped kitchen timer. While being one of the simplest time-management techniques, it’s also arguably one of the most effective — here’s why. The cyclical technique breaks your time into 25-minute working intervals, called pomodoros, spaced out by short 5-minute breaks. Every four pomodoros, you’re allowed a slightly longer break of 15-20 minutes. While also sounding delicious, the technique actually greatly increases your productivity and efficiency. It trains your brain to focus for short periods of time, and the breaks boost your motivation and keep you focussed. By working in sprints, you’re consistently productive — and thus more able to stay on top of deadlines and a seemingly never-ending to-do list. There’s been some handy web (and iPhone!) apps developed which are designed to help you stay on top of your pomodoros — some of our favourite ones we’ve been using in the office are Tomato One and Be Focused. Without further ado, we stuffed all 5 of us into the car and set off, via lunch. What followed was a very long “Are We There Yet? !” guessing game, with desperate (and sadly, unsuccessful) attempts to get Cody to spill on our destination for the weekend. Cody kept us guessing, even taking seven – yes, seven – spins around the roundabout when we got to the fork in the road either taking us to Rotorua or Taupo. However, as we took the turn-off to Rotorua, we were sure we’d figured it out. Our satisfaction slowly waned as we got further and further through the town. Finally, we passed the last house, the furtherest edge of Rotorua, and watched our dreams of mud baths and geysers slowly slip behind the horizon. Deflated and somewhat dejected, and with our sneaky Google Maps sleuthing suggesting that we were heading towards the middle of nowhere, we decided it was probably a great time for a sad nap. As we wove through dirt roads in rural Rotorua, we started to wonder if this was all too similar to the plot of a horror movie. Before we could get too lost in our imagination, we pulled up to a sign — “Broadview Hunting Lodge”. Not a bad place to get some work done! Finally, after the emotional rollercoaster that was our afternoon, we ended the day with the Very Important task of developing our skills in cocktail ordering (spoiler alert — we’re really good). It was a long and emotional day, and as we nestled into our warm beds we couldn’t dare to guess what tomorrow’s Mindfulness day might have in store for us.